Norman Brown's funeral following the Rothbury Riot, 1929. Courtesy of Jim Comerford. The Rothbury Riot happened during a long 15 month lockout. The Rothbury Colliery owners sent in strike breakers to work the colliery. When the Miner's Federation found out about this, they staged a protest, gathering a parade of people and marching with fanfare up to the locked colliery gates. 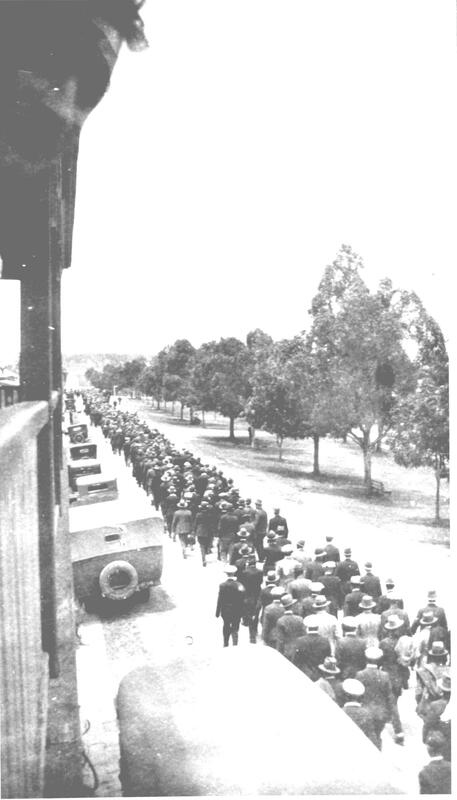 On Monday 16 December 1929 it was reported by the Cessnock Eagle and South Maitland Recorder that 5000 miners had assembled at the Rothbury Colliery gates. There is some contention on what happened that day, but what is known is that in the demonstration that followed one miner was killed and three wounded. This happened during an altercation between police and the crowd. The events of that day become known as the ‘Rothbury riot’. Norman Laurence Brown was the miner killed by a gunshot wound fired by police. 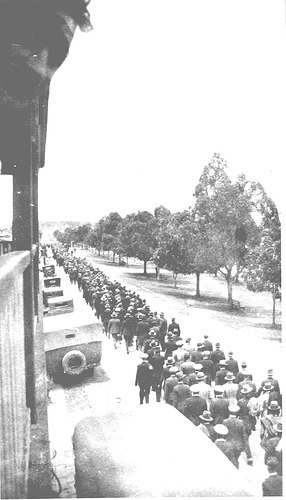 Brown’s burial, attended by a crowd of 7000, was held at Greta cemetery. The embedded video below contains accounts of people who witnessed the Rothbury Riot. For more information about the Rothbury Riot memorials click here. 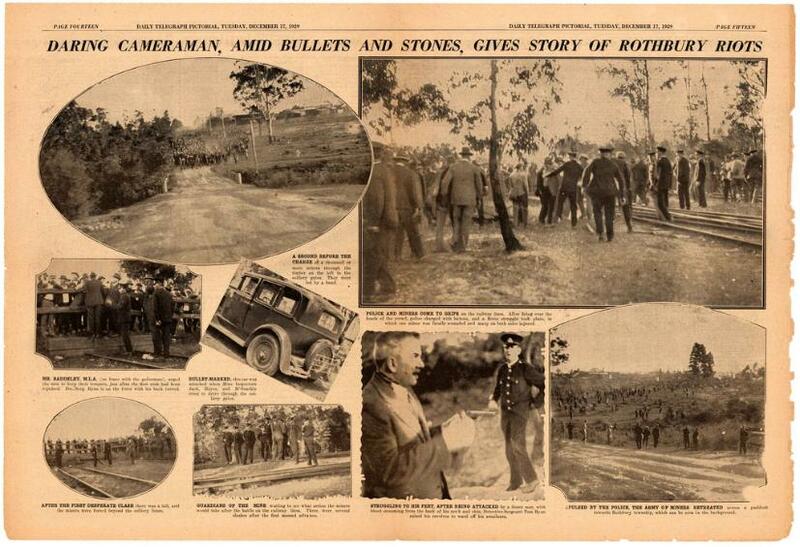 Rothbury Riot - 010 Daily Telegraph Pictorial. No. 15,607 (Tuesday, Dec. 17, 1929). From the University of Newcastle, Cultural Collections.